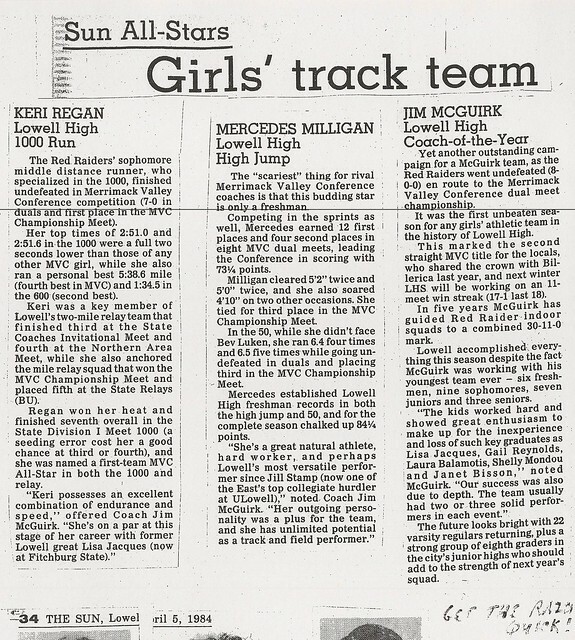 Christened with a name long synonymous with excellence in the automotive field, Mercedes Milligan made her name synonymous with excellence in the sport of track and field at Lowell High School through her accomplishments during her stellar 4-year career at Kirk Street. 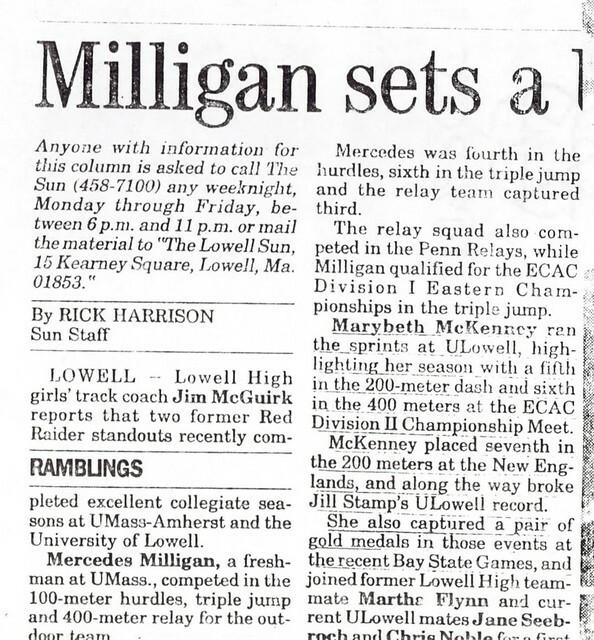 Garnering honors at the local, state, New England, and National levels as an outstanding sprinter/hurdler/jumper, Mercedes set standards unmatched by any other Red and Gray female athlete. 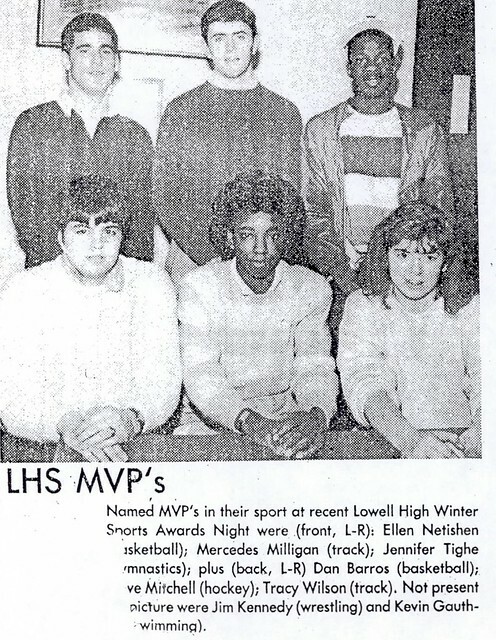 As a member of the Indoor Track Team, Mercedes was a 2-time Lowell Sun Trackwoman-of-the-Year, 6-time Merrimack Valley Conference All-Star, team MVP, and team Co-Captain (1986–1987). 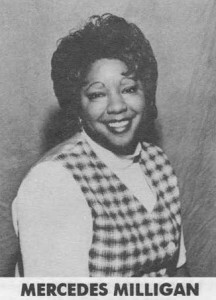 She was one of the catalysts of Lowell’s undefeated MVC Championship team in 1983–84. 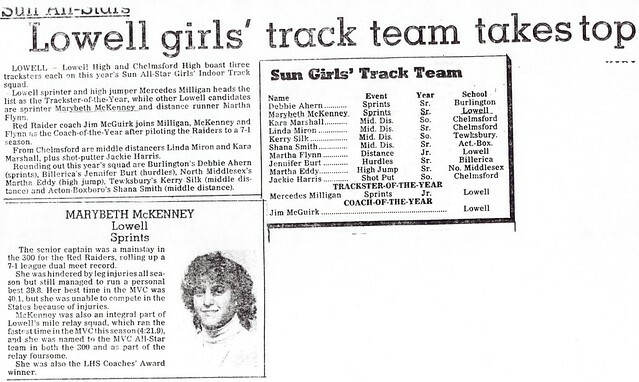 As a sophomore (1984–1985), Mercedes was a member of 2 Massachusetts State Championship relay teams–4×50-yard Shuttle Dash (in a still-standing Massachusetts State High School record time) and 4×200- Meter Relay. 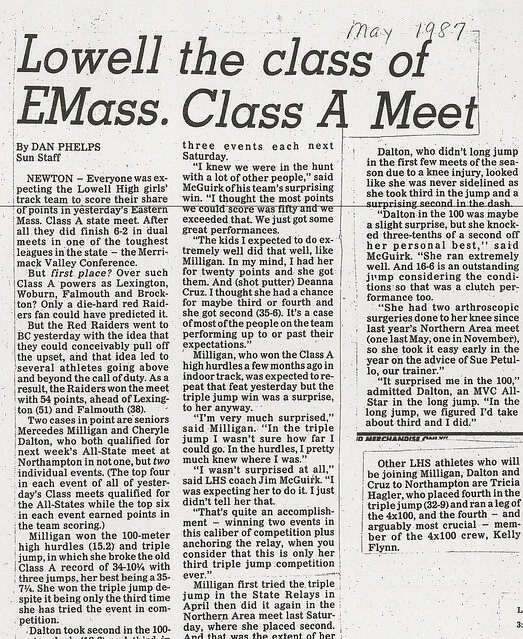 As a junior (1985–1986), Mercedes placed 2nd in the High jump and 4th in the 50-yard dash at the Massachusetts State Class A Championship Meet. 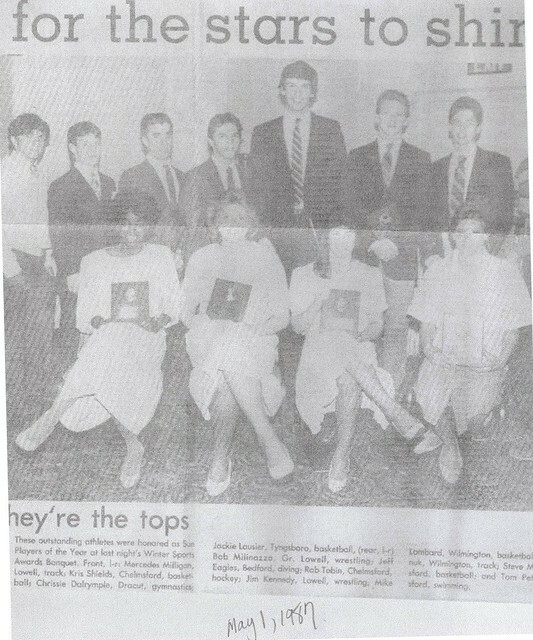 As a senior (1996–1997) Mercedes culminated her indoor track career by winning the State Class A Championship in the 50-yard High Hurdles. 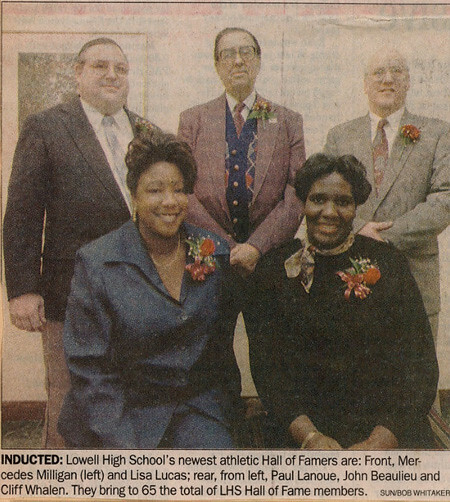 As a member of the Outdoor Track team, Mercedes was a Lowell Sun Trackwoman-of-the-Year, 4-time MVC All-Star, team MVP, and team Co-Captain. 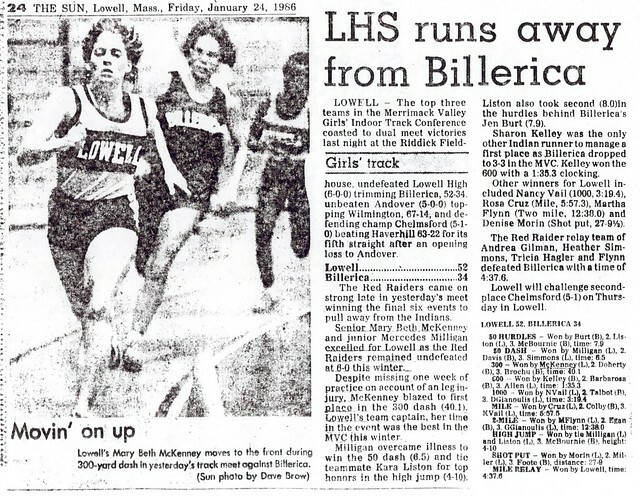 As a senior, she was a Boston Globe and Boston Herald All-Scholastic and earned a top 20 National Ranking in the 100-Meter Hurdles. 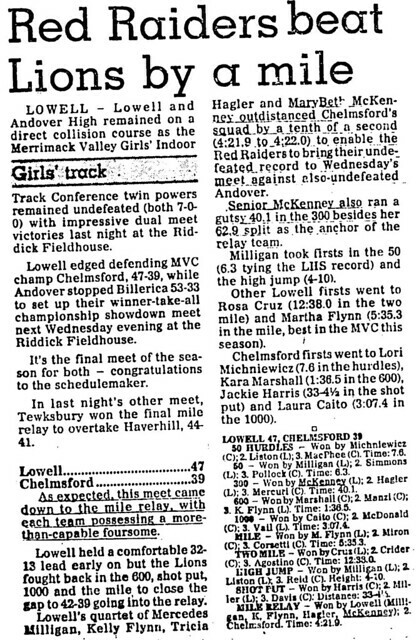 As a sophomore and junior, Mercedes consistently placed at the major State and New England High School Championship Meets, highlighted by her efforts as anchor runner on the Lowell High 4×100-Meter Relay team that placed 3rd at the Massachusetts State and New England High School Championships. 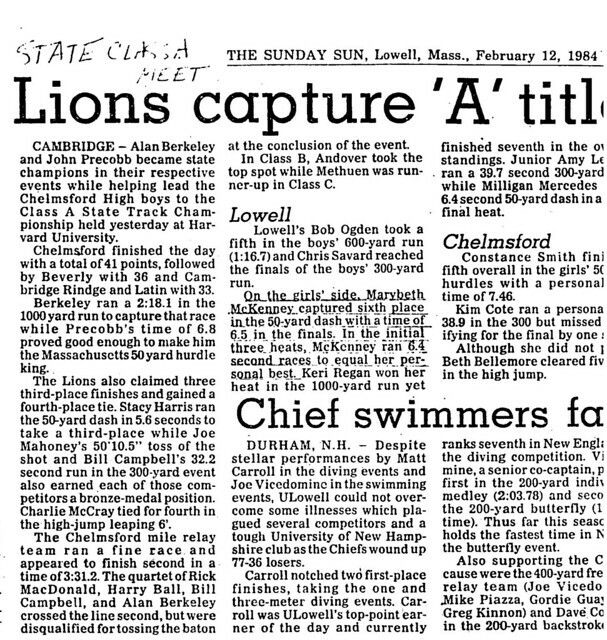 As a senior, Mercedes led Lowell to the Eastern Mass Class A State Team Championship. 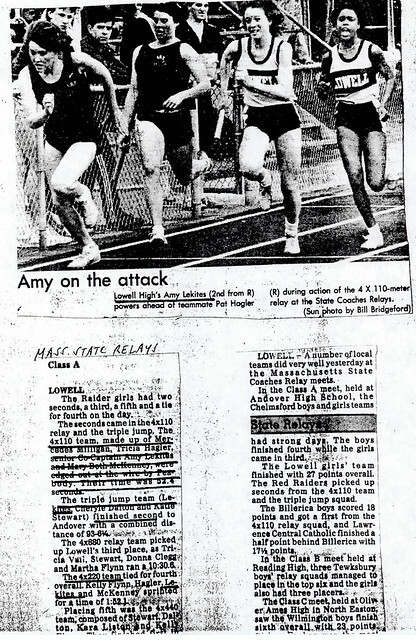 She compiled an undefeated season in the 100-Meter High Hurdles, winning Massachusetts State and New England Championships in that event. 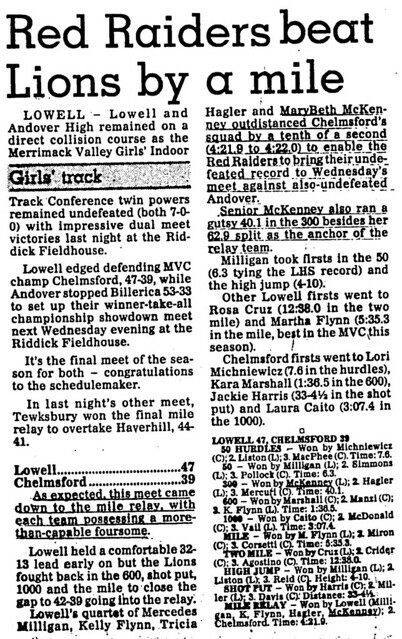 In addition, she won the Eastern Massachusetts State Class A Championship in the Triple Jump. During her college career at UMass, Amherst, Mercedes continued her excellence as one of New England’s premier triple jumpers and hurdles.